In 1991 Stagecoach bought 75% of the shares of Kenya Bus Services Ltd. Stagecoach renamed the company to "Stagecoach - Kenya Bus". Stagecoach later acquired another 20%. After 7 years Stagecoach sold all its shares to a group of local investors. 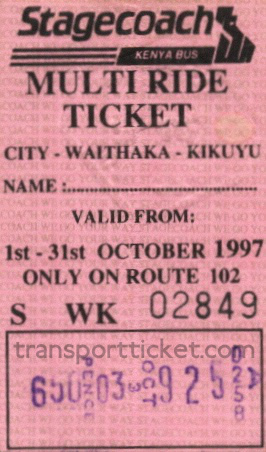 In 1998 the company was renamed to Kenya Bus Services again.